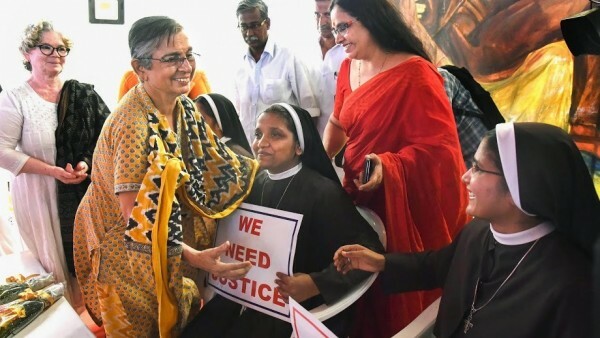 Bishop Franco Mulakkal, who has been named in a sexual abuse case by a nun, got a breather from the Kerala High Court on Thursday as it said “arrest is not the issue”. Expressing satisfaction in the ongoing probe, the court observed that since it was an old case, the probe and the investigation will take time and “not the arrest but final punishment of the accused is more important”. Apart from hearing two petitions on the case, it also heard a third petition seeking a Central Bureau Investigation (CBI) probe into it, and said that at present that would not be granted and posted the matter for next hearing on September 24. The nuns supporting the victim expressed their disappointment with the court’s observation. “We now feel that the probe might be swept under the carpet. Even the court is also denying us justice,” said a nun after hearing the court’s observations on Thursday. A Division Bench headed by the Chief Justice Hrishikesh Roy after going through the affidavit of the Kerala Police probe team said that it was not proper to put pressure on the police as it could create hindrance to a free probe. A Kerala nun has accused Mulakkal of repeatedly sexually abusing her between 2014 and 2016. There are five other nuns of the same congregation who has supported her claim. On Thursday, Kottayam Superintendent of Police Harishankar who is leading the probe told the media that variations and contradictions have been found in the statements that have been taken from several people connected with the case. “I would not say that this has been done on purpose. However, taking into account that the case is four years old, it might be difficult to recall things correctly. “There are discrepancies in documents and facts that have now come up and hence we have expanded the probe team,” said Harishankar.